In a battle which went right down to the wire, the South Sydney Rabbitohs have come away with a one-point win over the St George Illawarra Dragons in the second NRL semi-final. Here are my talking points from the match. Full disclosure before we go any further – I’m a Dragons fan. I’m proud of the effort they put up last night, but that doesn’t make this article any easier to write of course. Reynolds has had moments of brilliance and moments which make you scratch your head and wonder what is going on both this season and throughout his career, but when it counted, he rose to the fore last night. What a performance he put in. Apart from scoring all of the Rabbitohs points and kicking not one, not two, but three field goals, he controlled their attack and stood up when he needed to. To kick three field goals in a game – a finals game – and one of those with your team behind to tie it up just minutes from fulltime, it was a staggering performance. While we all rave about the Rabbitohs left edge and the Burgess brothers, without Reynolds they weren’t getting close to the Dragons last night, and for the club to go close to the grand final or winning the competition, the half needs to be at his absolute best as he was against the Red V.
The Dragons were incredibly brave in getting to where they were last night. Coming back from the first Reynolds field goal to somehow find the lead with four minutes to go, they seemingly had the game wrapped up. Of course, they fell apart in attack with two extremely poor sets and the rest is history, but they put in a strong display to get to where they were. Most Dragons fans, had they been asked three weeks ago, would have laughed if you told them they were going to the semi-final and then were going to take Souths all the way to the finish line. But even if they had gotten into golden point, they were busted. With Paul Vaughan, Jason Nightingale and Gareth Widdop all on the sidelines, Tariq Sims didn’t finish the game, Jack de Belin hasn’t trained in a few weeks and both Tyson Frizell and Nene Macdonald were forced to finish the game injured because the Dragons didn’t have any interchanges left. I’m not making excuses for the Red V’s capitulation at the end, but they did a bloody good job to get where they did in the first place. By his usual standards, Damien Cook had a reasonably quiet first half. He wasn’t getting involved in the attack all that much, which was particularly surprising during the first 20 minutes when the Rabbitohs were more or less dominating the contest. After that, the Rabbitohs struggled for possession and so the excuse was there, but even when they did have the ball, Cook was still a supplier rather than a provider. Come the second half though, and it was clear one of the main messages from Anthony Seibold was for Cook to rip in and take on the defensive line at every opportunity. Souths went from looking beaten down and tired to playing with all the running of the contest, dictating the pace and tiring the Dragons defence. The backpedalling defensive line was no match for Cook, who in turn was able to get his forwards moving, hitting the stomach, getting up quickly and launching into quick play the balls, which in turn made the Rabbitohs even more dangerous. While the left edge wasn’t as potent as it normally is, they were deadly up the middle and the possession they were able to amass on the Dragons eventually wore down on them, leading to a victory. It’s stunning the difference one player can have, but if the Bunnies learnt anything, it’s that Cook, alongside Reynolds, is their most important player. While Ben Hunt has well and truly proven on more than one occasion he cracks under pressure, and yes, the wrong play was called on that fateful final tackle last night, it shouldn’t be the focus of the game. Instead, we should be celebrating what was an excellent, back-and-forth, got you on the edge of your seat from start to finish, game of rugby league. In front of a huge crowd, there shouldn’t be too many knockers of the game. You could say if the Dragons had Widdop, if the Dragons had held the ball with three minutes to go, if they hadn’t run it on the last. If, if, if everything. At the end of the day, they didn’t and there has to be a loser. The Rabbitohs played well, hung with them and turned things around in the second half after being beaten to the line in the first half. And honestly, Ben Hunt did more good than bad throughout the game. Let’s not let one play define his season, which, sure has had its rocks and diamonds, but has generally been better than poor. The way the game was played was a testament to rugby league, as the whole finals series has been. Let’s hope there are three crackers left. The Bunnies looked tired. Can they beat the Roosters? As mentioned above, the Rabbitohs looked tired, particularly during the first half. Heading into the main break, it was unclear where they were going to score or get back into the contest. While the game was a testament to the two sides’ defensive work given only two tries came out of 80 minutes of full-on, intense rugby league, South Sydney now need to somehow back up and try to beat the Roosters. They will take plenty of lessons out of the Dragons game, but their ability to hang on with backs to the wall at times was admirable, as was their comeback in the dying minutes through those Reynolds field goals and a run of more possession. Despite looking fresher during the second half, a lot of that came on the running of Cook and their outside backs, who got involved strongly. The first half fatigue, especially heading into full-time may still be part of the hangover from playing away to Melbourne and losing, something which can take weeks to move on from and feel back at full fitness. South Sydney rely on their forward pack so much, and next week’s game is likely to be a battle of the middle men. Whichever team comes out in front of that department are probably going to find themselves with a spot in the grand final. If the Rabbitohs’ middle men are tired though – and tired is a relative term, because everyone is at this time of year – they are going to struggle to stick with the tri-colours for 80 minutes. A full seven-day turnaround will help, but the Roosters have had 14. It’s going to be a great match, you can just sense it, but the Bunnies are going to need to work miracles in recovery after such a physical contest to get back up for it. If Reynolds was ice cool, Dragons youngster Zac Lomax wasn’t too far behind him. He had a superb game in just his third NRL outing. After making his debut at the end of the regular season against the Newcastle Knights, the 18-year-old handled every bit of pressure thrown at him all night. 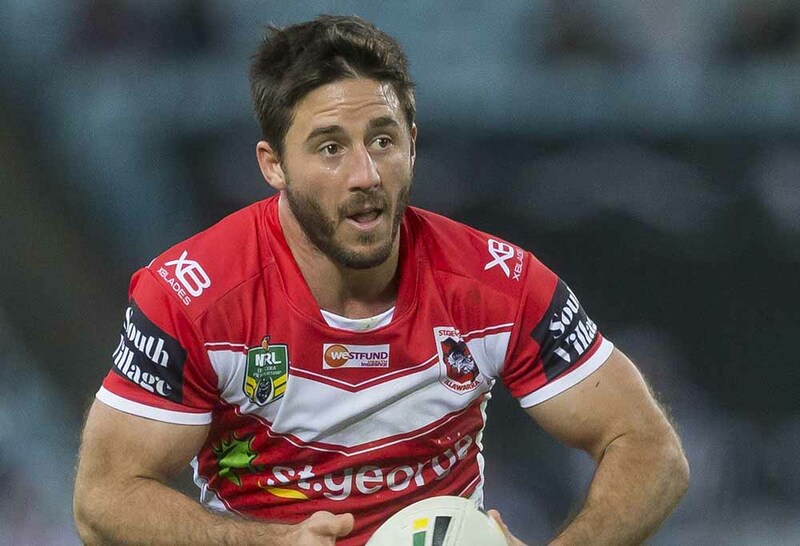 Given the goal-kicking duties, he did them well and then slotted the penalty – the biggest kick of his life so far – to put the Dragons in front. He was solid in defence, purposely fell off the tackle to cause the one-on-one strip leading to the penalty and appeared dangerous in attack whenever he had any room to move – although those opportunities were few and far between. Lomax, for a man who could still play in the Jersey Flegg competition for another five years, played well above his experience level and has done ever since he entered the NRL. But the question remains, who does he replace next year? Euan Aitken and Tim Lafai aren’t exactly dropable players. There is the nagging doubt about whether a 19-year-old could play a full season and stay in form, but he may not have a spot anyway. Do the Dragons turn Euan Aitken into a second rower? Probably not. They don’t need any more of those. Does Lafai get dropped on the virtue of a poor second half of the season? Again probably not. It’s a good problem for coach McGregor, but one he needs to find an answer for. A quick one to finish off, but this is a problem for the NRL. Last night’s crowd between the Rabbitohs and Dragons was 48,118. That’s right on the limit of what Allianz Stadium can hold as it is, but with the stakes going up, the Roosters having a week off and Bunnies fans likely to travel, the Moore Park venue will lock people out next week. 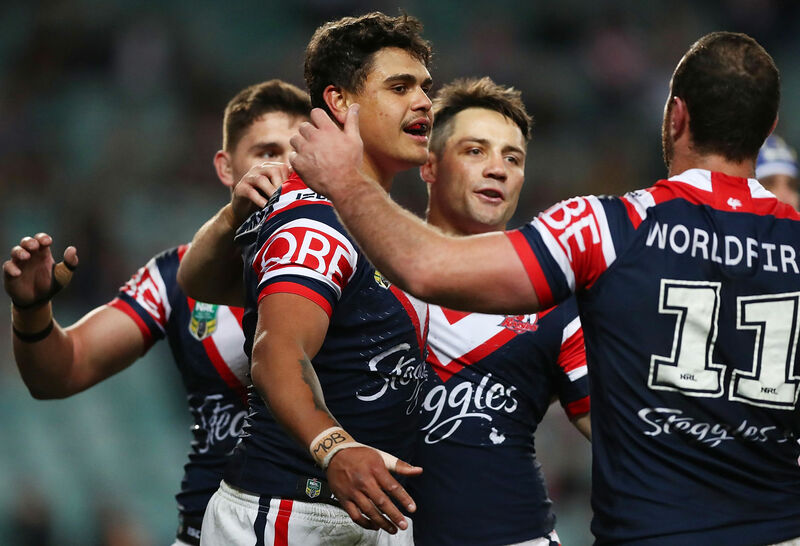 While the Roosters deserve their home ground advantage, they don’t in the same breath. Every other Sydney based team, with the exception of the Rabbitohs and Bulldogs, have had to give it up since Week 1 of the finals. While Roosters fans will say they would be no just giving up their home ground advantage, but playing at the opposition’s home ground, other teams have been forced to do it previously, so it’s not something new. A battle between two of rugby league’s oldest rivals could challenge the preliminary final figure set in 2010 when the Dragons and Tigers played in front of 75,000 fans. If the NRL are happy to stick to their own policies and not lock fans out by playing at big stadiums, they should act now and get the preliminary final over to Homebush where the number of fans could be accommodated. Normally, I dislike the Olympic venue as a ground, but it was rocking with 48,000 last night. It should be even more full next week and it’d be a crying shame to see fans locked out. Roarers, what did you make of the second NRL semi-final between two old arch rivals? Drop a comment and let us know.